How a failure of a product became the kleenex of backup power. 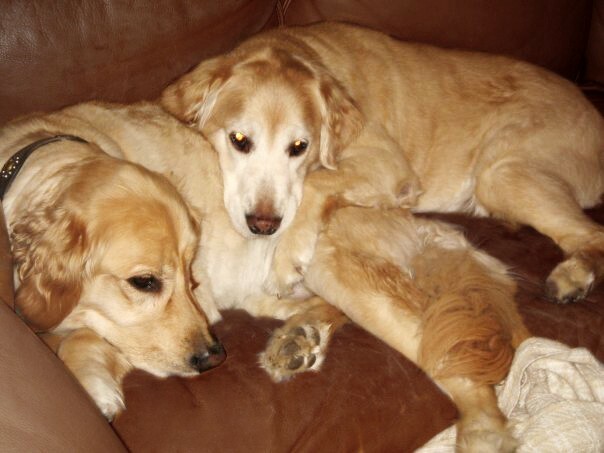 If you ever see me smirk a bit when I board a flight, it’s not because I enjoy being locked in a metal tube for hours on end- but rather because it’s impossible to look around and not see countless travelers holding something with the name of my two golden retrievers (molly + sophie) emblazoned on the front face. It’s rumored that the mophie juice pack now brings in hundreds of millions of dollars a year in revenue. Despite countless knock-offs, the mophie brand has become the “kleenex” of external power, and is used by millions of people worldwide. mophie was by no means an overnight success and certainly did not take a linear path to greatness. As part of my ongoing quest to Make Invention Accessible, I believe companies should provide a behind-the-curtain view of how products are born in an effort to inspire future invention. This is the story of the early days of mophie. The twists and turns that seemed like colossal misses at the time, but somehow led to greatness. Common sense would tell you the story of the Juice Pack began in 2007 with the launch of the first iPhone, but in fact, this story goes back over two years before Steve Jobs came on stage with that beautiful beautiful aluminum bodied phone. I began working on the mechanical system in 2005, and launched several mediocre products using our “sled” design that didn't quite take hold. 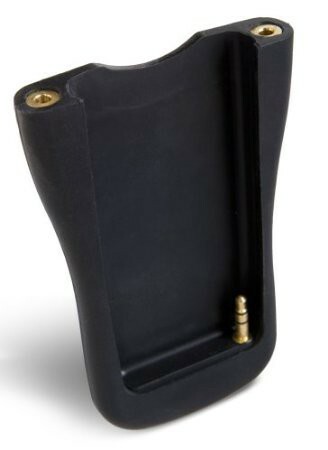 We launched the first battery case in January 2006, and no one cared or wanted it. The need for extra power pre-iPhone just wasn't there. In mid 2007, we sold the mophie brand and the assets associated with the Juice Pack for pennies on the dollar because my investors deemed it a failure. I wouldn't change a thing, and here’s why. Juice Pack’s roots can be traced all the way back to the Song Sling, mophie’s first product designed in March of 2005. It may seem unlikely that a poorly designed lanyard headphone could have played a part in the invention of the battery-case, but it most certainly did. 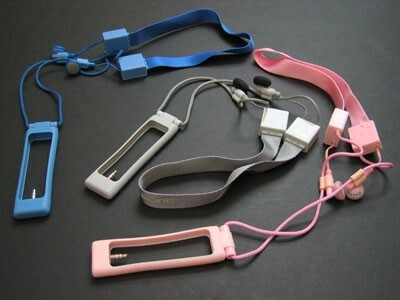 The “big idea” behind the Song Sling was to integrate headphones into a lanyard. The resulting product would eliminate the mess of cords many people were experiencing when they used the lanyard provided with the original iPod shuffle. Apple’s design for their included Shuffle lanyard was in some ways very smart. It hung the iPod upside down so that when you grabbed it- the controls would be facing you. The downside to this, however, was that the headphone cables now needed to travel extra distance to clear all the lanyard cables, causing a big mess and lots of tangles. Looking back, something very small, that seemed obvious and insignificant at the time, played an indelible role in shaping the mophie you know today. Notice the 3.5mm jack, integrated into the case. This would give way to the 30 pin, and later the lightning cable placement on the Juice Pack design. The bottom of Song Sling was a bumper style case with a male 3.5MM (headphone) jack molded in. The sides of the case were built up just enough to hide a wire that would relocate the audio wire all the way up through the neck of the lanyard- therefore eliminating 2 out of the 4 cables Shuffle customers were accustomed to using while adding protection for the iPod itself. At the time, molding electronics directly into a case and using the structure of the case as a way to facilitate the connection to the iPod was incredibly novel. Most of the big accessories at the time (Griffin iTrip, etc) were all “dongles” and hung off of the iPod, in order to achieve its function. I've long described Song Sling as a miserable failure. I’m utterly embarrassed that this was the idea I had convinced my parents to remortgage their house for. That said, if I look back on Song Sling in the context of this story- it played a hugly signifcant part. Figuring out how to mold connectors into cases, in 2005- and using that technology/manufacturing technique to shape future products was pivotal. In September of 2005 Apple continued their long history of keeping iPod Accessory market on their toes. For a newcomer like mophie, this was a huge opportunity. That month, Apple introduced two products simultaneously. First was the “video” iPod- which removed the long used 9-pin remote jack, and introduced the 30 pin connector that we all became very accustomed to. The second product they announced was the iPod Nano which brought with its own little controversy, it moved the headphone jack to the bottom of the player. We can all laugh at this now and agree Apple made the right move- but at the time, this caused a huge ruckus in the accessory industry. 9 Pin jack used by most accessories pre-september 2005. Every existing accessory being sold by every single company (large and small) was rendered obsolete. Griffin’s wildly successful iTrip, DLO’s docks, Speck’s cases— everything was gone. The entire iPod accessory market instantly became a level-playing field with no clear leader. Seeing this as a huge opportunity, I raced to develop a full product line to bring to Macworld 2006 in early January. mophie came to Macworld 2006 with a new line of gear. It was called the mophie Relo line. It was a full & robust line of accessories, cases & electronics. Most people used cases on their iPods, but were forced to remove them if they wanted to use any accessory (speakers, docks, armbands etc). Dongles were really freaking annoying and electronics should be built into cases themselves. Relo allowed you to keep your case on and simply slide them into accessories that were specially made to work with our cases. The genius of the Relo line was simple. Molding electronics inside of cases. The first product was for iPod nano and it would relocate the headphone jack to the top of the iPod, while also splitting the sound so two people could listen at once. From a manufacturing standpoint it was pretty sweet. We figured out some complicated stuff that later gave us confidence in our ability to manufacture a battery case. We actually dropped a PCB into the silicone compression mold, and created what everyone would begin calling the “sled” design. Male headphone jack went into the iPod when inserted into the sled, giving way to functionality in and around the case. I remember throwing these products across the convention center at Macworld 2006 to prove that your iPod was safe & the electronics were stable. The second product we brought to the show that people cared about was called Relo Remote, which sillily reinstated the 9 pin jack to the top of your iPod by using a male 30 pin in a sled, and giving way to a female 9 pin at the top of the case- so you could use all your old accessories. This is an incredibly embarrassing photo. Also photographed Michael Cavotta, who helped with mophie’s origional sourcing and fundraising. These were the two products people cared about. The Relo system went on to win Best of Show at Macworld 2006, and which really gave mophie the fuel it needed to get to the next level. We brought 8 other products to Macworld in 2006 as part of the Relo system of cases with integrated electronics. One worth noting, was the world’s first battery-case. We called it Relo Recharge. 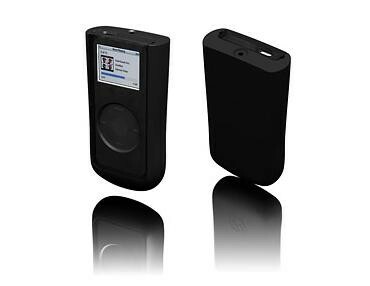 It was designed to work with Video iPod, and iPod Nano. This was a full year before the word iPhone was ever mentioned- 18 months before it began to ship. 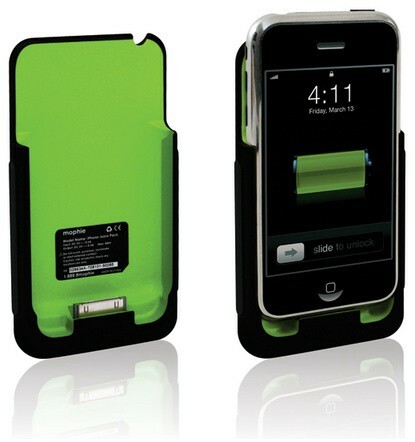 Relo Recharge was a sled style case with a built-in rechargeable battery. Technically speaking, Recharge was a challenge. With heat dissipation concerns, regulatory issues, and overall size constraints we were up against a lot. Nonetheless, the mophie team believed in the product. We did a lot of preliminary R&D to assure it would be possible to move the product into production, and brought the product to Macworld. The result: no one cared about Recharge. We procured zero retail interest, and people didn’t understand the need for the extra bulk (and the price-tag that came along with it). At the time, iPods were app free, and getting 12+ hours of battery life. People were more much interested in the humbler parts of the Relo line… short-lived insignificant things like headphone jack relocators.. No one could see the potential for Relo Recharge. Recharge was shelved. Rendered a failure. We wouldn't look at it again for over a year. 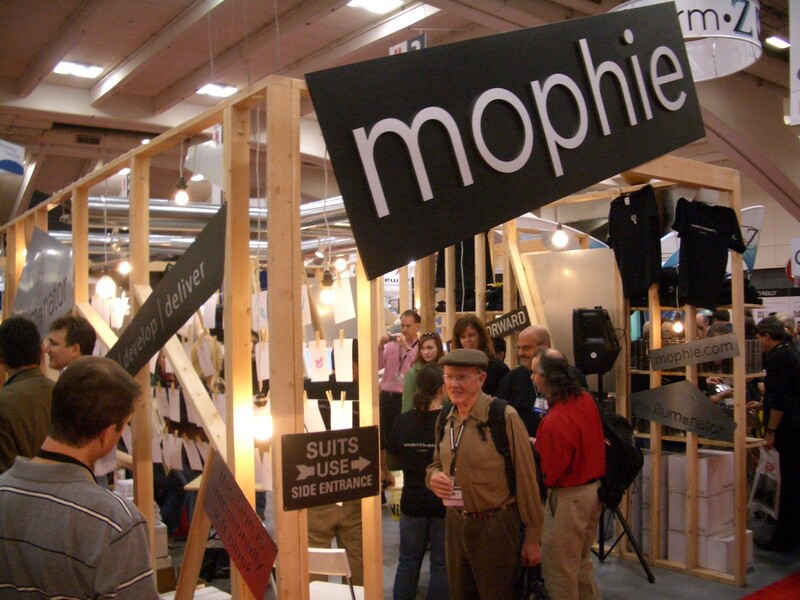 mophie was a small, 6 person team out of Vermont, comprised of highly competitive individuals. Coming off the Best of Show win in 2006, and recent venture funding we were committed to doing something incredibly unconventional and one-upping our success from the previous year. Our lab at the Moscone Center for Macworld 2007's Illuminator Project. 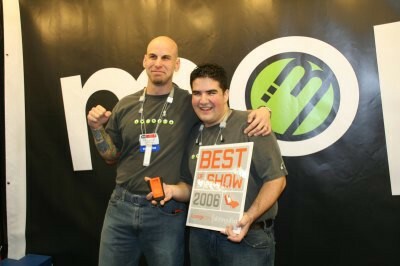 mophie took to Macworld 2007 without a single new product. Instead, we brought with us a project we dubbed “the illuminator” where we asked the Macworld community to help us design & invent our 2007 product line. The goal was to have a new product line designed & launched by the end of the 4 day show. The success of the illuminator project became my inspiration for selling mophie and beginning to work on what became Quirky. It was absolutely life changing to see a community of passionate people work together to create and invent the future. I knew this was how I wanted to spend the rest of my career. As exciting and impressive as our project was- it dwarfed in comparison to the other big thing happening at Macworld in 2007… Apple’s announcement of the iPhone. We didn't think much of it (in the context of Recharge) for several months. Gartner formerly put on a show named RetailVision- where manufacturers and brands basically paid their way into having meetings with retail buyers. Kind of weird, but for small brands like ours, it was a great way to get gain exposure. We attended the show in Nashville, TN in the spring of 2007. Next to our booth was a battery manufacturer that went by xPal/Tennrich. xPal was making external battery bricks for brands like energizer. I became friendly with a guy there named Christian, and by the end of the show was showing him the design for Recharge, and asked if his factory could produce it (despite the lack of orders). He said he was up for the challenge. We kept in touch. Across the way was a small speaker / boombox brand by the name of mStation. One of the three founders of mStation was a phenomenal guy by the name of Wm. Marc Slasberry. Marc saw my vision for what mophie was trying to be and believed in it strongly. We spoke regularly after the show about our respective struggles building and scaling our companies, and within a month or two we considered each other close friends. Besides walking away with a few big retail deals, and some awards to boot, meeting Christian & Marc were the greatest rewards of the show. 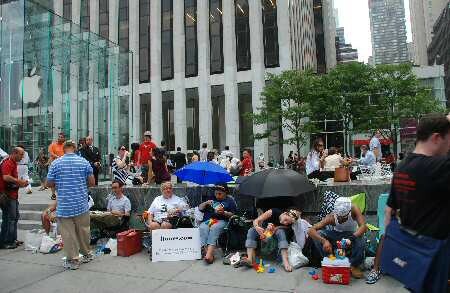 I’ll never forget driving to my parents house on Long Island in June of 2007 to camp out behind the Walt Whitman mall two days before the launch of the iPhone. Finally, the world had it’s hands on it. It was likely less than 24 hours later that complaints about battery life started to flare up across the internet. To the mophie team back in Vermont, the answer was clear. We designed it 18 months ago. Suddenly the work we'd done for several years had a magically perfect product + market fit. But… it was a weird time for us. 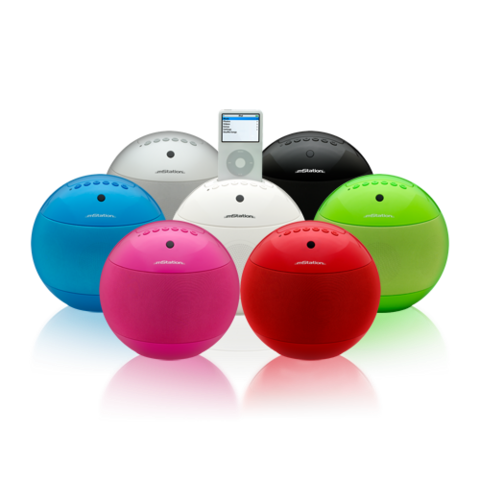 As a team, we had resolved to stop making iPod condoms, to start focusing on our collaborative product development platform… yet, we knew this product was too good not to make. Peter Wadsworth, our lead engineer, immediately began working with myself and our Industrial designers Barbara Brattain and Jed Crystal on the initial form of the Juice Pack for iPhone. We decided on an iconic hidden pop color interior. We wanted to bring attention to the unique fact that electronics were built right inside of the case. We began working closely with Christian and xPal to figure out the electronics design. We were racing to get this product to market as quickly as possible. the need was there, and we had the solution. I was seriously torn in the summer of 2007. I wanted nothing more than to Make Invention Accessible and focus full time on building out illuminator into a collaborative platform where anyone could invent anything. But at the same time we had some exciting products (like Juice Pack) in the hopper, and I wanted to see them through. I had developed a real friendship with Marc at mStation and was confident in his ability to see the mophie (accessory) vision into a reality. Even before the sale was on the table, he worked closely with me and the mophie R&D team to refine the details of our battery case design. 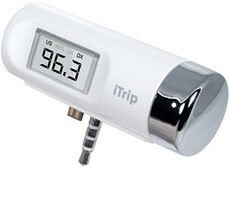 By early August, it was clear that mStation was interested in getting into the portable accessory market. They had manufacturing expertise in complex electronics (something which mophie lacked), and a leadership team in Daniel, Shawn and Marc that the mophie team really trusted. At the time, there were 3 or 4 working models of the battery-case that my team had completed, along with a xPal’s factory & production plans ready to go. Retailers were chomping at the bit to get their hands on the product. A few days before the closing, Marc called me to discuss 2-3 products discreetly (the battery case being one of them), and how they would be valued. The options were to add a bit of cash to the sale price or structure an ongoing royalty. Through the eyes of the mophie board the products in question were resurrections of failed projects meant to fit new Apple models (after all, we had already given battery-cases a go with Relo Recharge). So the board opted for a tiny amount of cash ($50k per product or so) to be added to the sale price rather than a perpetual royalty. It’s clear now, the royalty would have likely amounted to tens of millions of dollars. By September 1st, 2007- mophie was property of mStation. The mophie team stayed largely in-tact and kept working with me on the platform which became Quirky. For the next few months after the sale, my team helped mStation tie up loose ends. 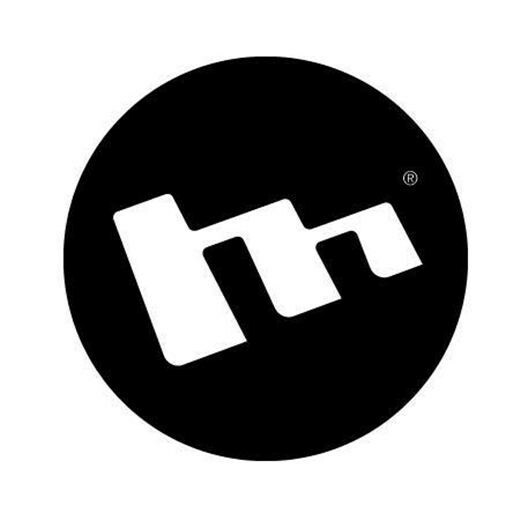 Mat Poprocki designed them a new logo (the EQ styled M that they still use today). Peter Wadsworth helped them with mechanical engineering on a few products, etc. The name Juice Pack (which is incredibly awesome) came from the mStation team, just days after the sale. Juice Pack’s rise from a failed product (Relo Recharge) to a huge market success probably has a lot to do with the focus of the mStation team post-acquisition. It wasn’t long after the sale that they wound down their mStation operations and changed the name of their company to mophie, recognizing its power as a consumer brand. They transitioned out of nearly all of mophie’s legacy products, as well as mStation’s, and began working almost exclusively on perfecting the art of battery-cases. This is a discipline that I absolutely admire- and one that has paid off in spades. While it was somewhat disappointing to see the rest of the product line go- It was always comforting to know that the team at mophie was laser focused on doing right by the invention and right by the product. mophie now has an entire line of portable power products, from batteries built into ultra-protective ruggedized cases for military use, all the way to cases that are so slim that having a battery inside of it is practically magic. The brand is almost as powerful as the product and mophie has done a great job of keeping an engaging and irreverent voice. 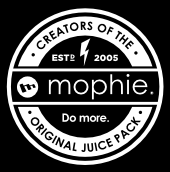 I remember seeing a mophie campaign last year using the phrase “creators of the original juice pack”. I thought just the fact that they needed to say that meant things were on an incredible path. Invention is a wild ride and it’s incredibly powerful to look back and see how little breakthroughs and failed projects can lead to ground-breakingly powerful consumer brands. Had it not been for molding the headphone jack on that Shuffle lanyard, Apple transitioning to 30 pin connectors and leveling out the industry, Relo system getting the accolades it did, not signing up for that weird little show called Retail Vision, and not giving a failed invention another chance… who knows who’d be keeping us juiced up every day. Regardless of the financial outcome, putting mophie in the hands of the folks at mStation (mophie) proved to be one of the best decisions I could have made. It gave the invention a team that was solely dedicated into making it a success. People ask me often if I have any regrets about mophie & my time there. I don’t care much about the money that would have been gained by choosing royalty instead of cash, or selling the company too early, or anything along those lines. My relationship with mophie was effectively severed a few months after the sale in 2007. Despite this, I certainly get a lot of credit for mophie & the Juice Pack. I’m sure this doesn't make the team at mophie feel particularly great and it’s time the record is set straight. We talk a lot about the “heavy lifting” at Quirky. The fact that the hard part isn't the idea- it’s the rest. Scaling production, refining the design, perfecting quality, gaining distribution, getting the word out there, etc. This is what turns an idea into a product and a name into a global brand. Let the record show… when it comes to the Juice Pack, the “heavy lifting” was done by the post-acquisition mophie team.Not me. The current mophie team is a creative, inspiring group of people with an unwavering focus on execution. Their efforts, long hours, and attention to detail are the only reason why mophie is what it is today. I do hope that one day I can work closely with the crew at mophie again. I truly love the brand and the products- and they'll always hold a very special place in my heart.